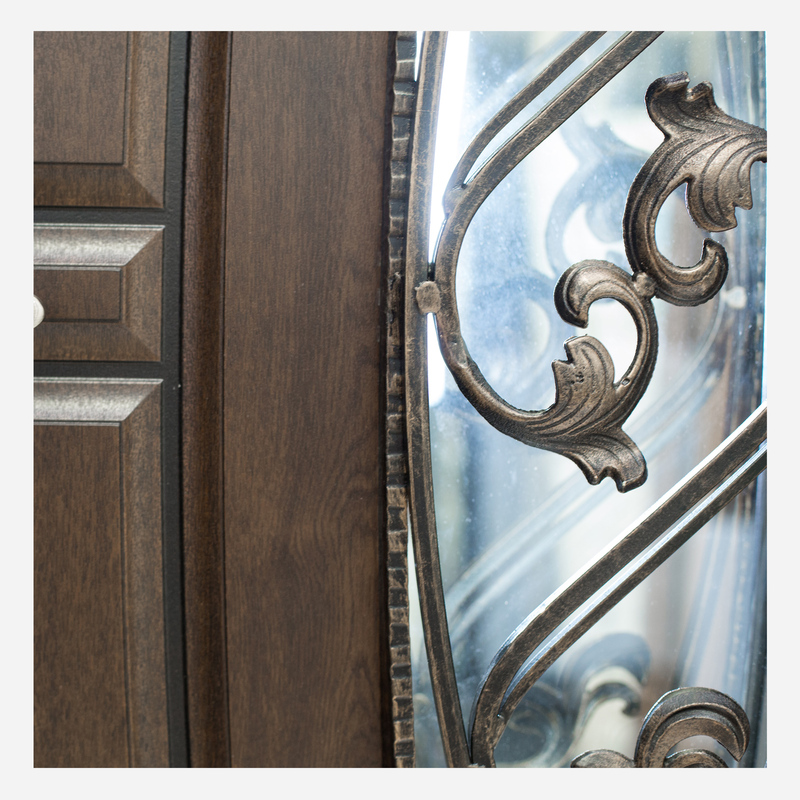 Aesthetically full construction of Entry Door "Monarch" is the blend of tones and ornaments as 3-chamber glass with forged gratings. 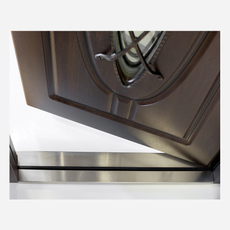 The main task of this product is to boast exceptional elegance and beautiful look of the house. 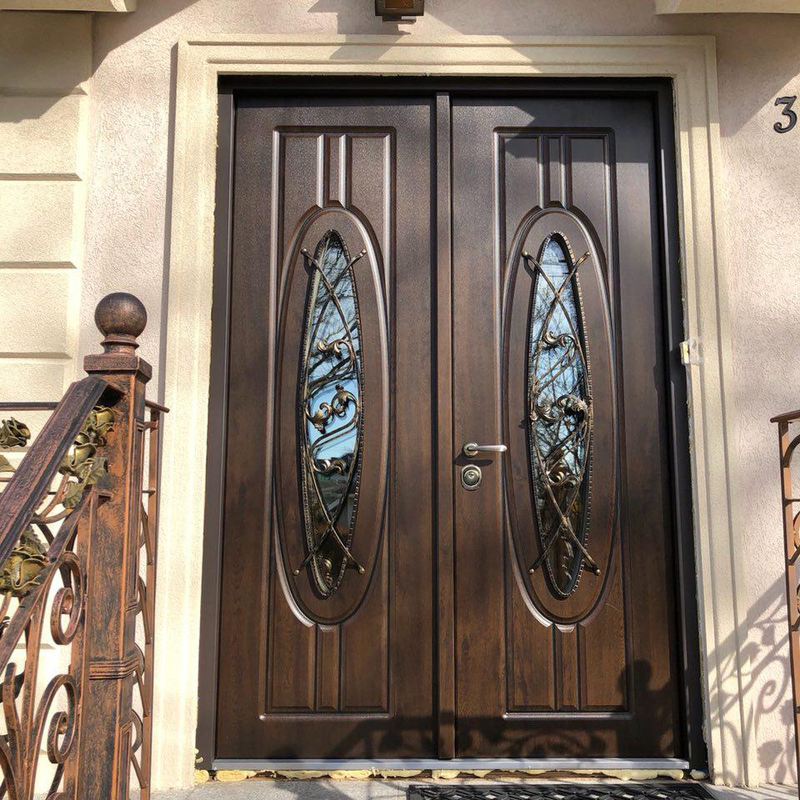 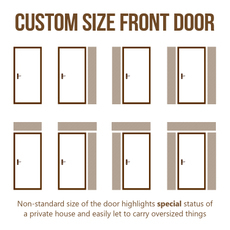 This type of door can be customized according to your desired size or variety of construction. 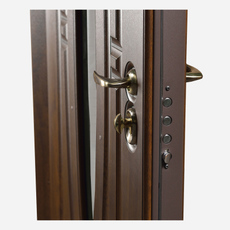 To be aware of the cases of forced opening the door, during manufacture of high-safety exterior doors we use the bending and profiling technology with stiffeners. 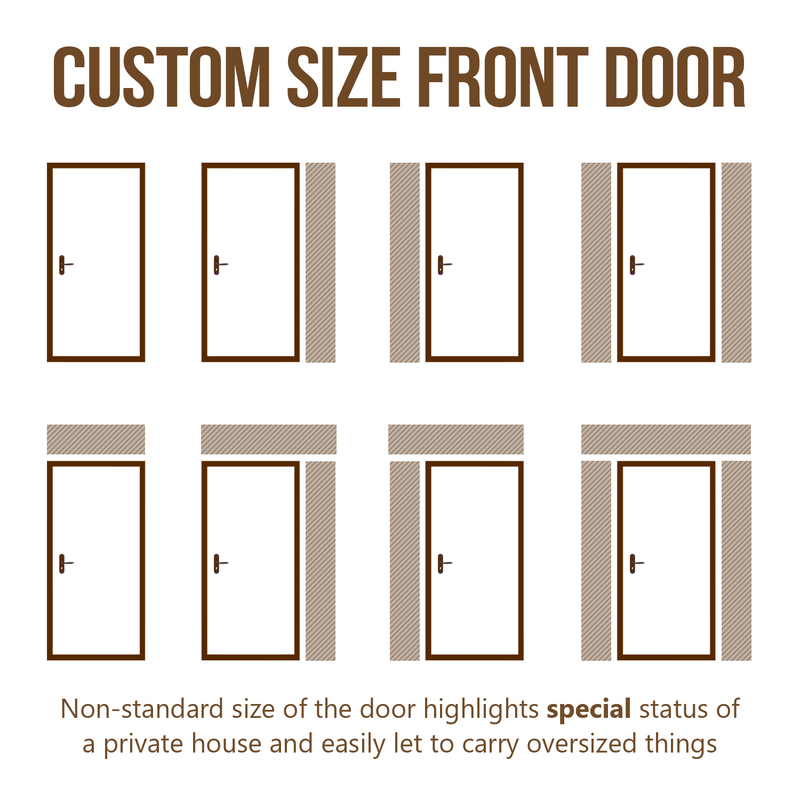 In conformity with world standards, Entry Door has premium A-class on air-tightness. 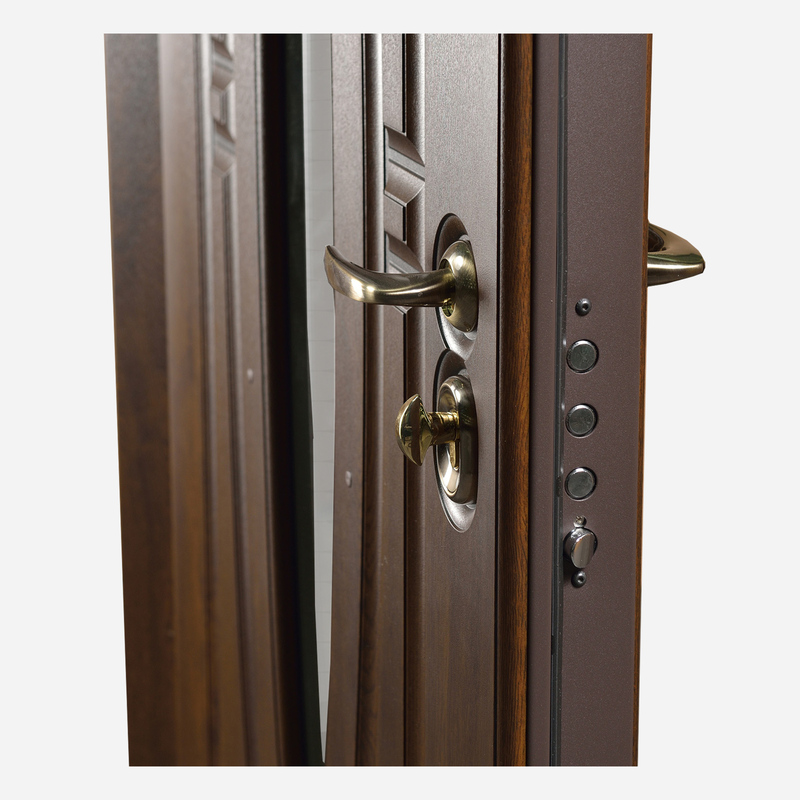 The door faithfully protected from the wind and cool weather due to the six-layer thermal insulation. Reinforcement stiffeners insulated with special Porilex, moreover, this model protected from corrosion and does not swallow condensation and moisture from the street as it has expanded polystyrene construction. Monarch Door panels made with SteelTex innovation are impervious to light technical harm, humid environment, and UV rays. 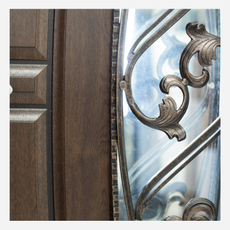 The panels don't blur over time and hold its initial design all through the entire life of the door. 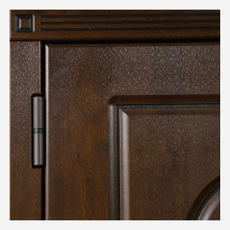 Hinges are intended for more than 500,000 cycles of opening.